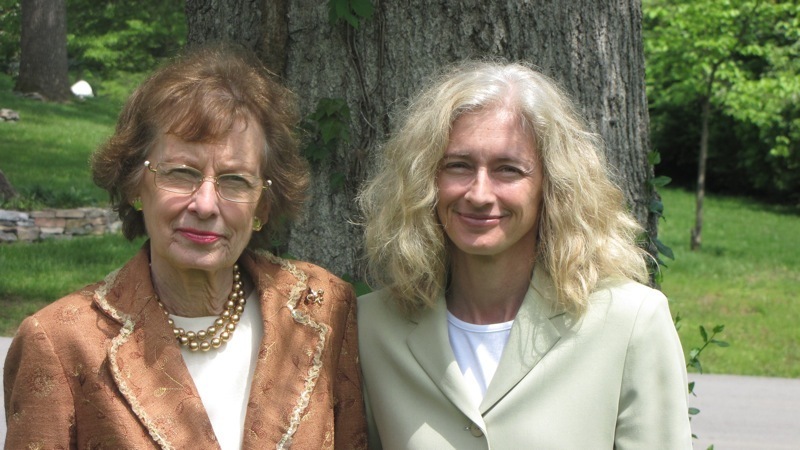 This new communique about artists and their art is dedicated to my mother, Ruthe Ballard Figart Sphar, who taught me at a very early age to surrender to the call of creativity. Without Mom, I would not be the creative communicator that I am — and this first installment would have been finished a month ago. For the past 30 days I have been beside my mother day and night, 24/7, intuitively taking care of her as her body tries to find a way to coexist with a deteriorated heart, and her mind struggles to let go of the physical limitations she cannot change. I have perhaps learned more from her this past month than in all my 47 years with her, because I have listened more attentively, cared more affectionately and loved more fully than ever before. During this trying time, the few hours I’ve been able to devote here and there to this project have brought me release and inspiration. The goal is to promote artists that I admire, spreading the word about their work. Artists are the least compensated members of the work force proportionate to the amount of joy they bring to human beings. Even in the face of difficulty, the inspiration of art, music, film, theatre or literary composition can make us feel that everything’s coming up roses. 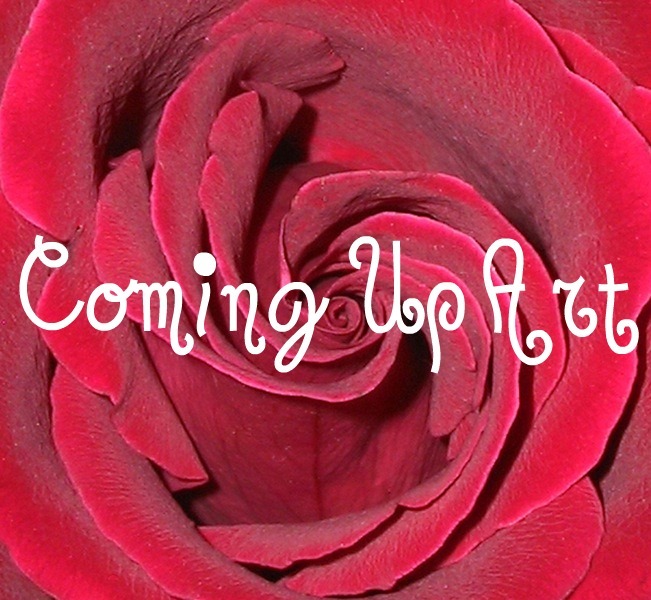 Coming UpArt is a new e-mail blast and blog update of fresh art you can enjoy, buy for holiday gifts, and learn more about through online links. Get in touch with me via e-mail if you would like to provide feedback or have your projects featured in Coming UpArt. Nate Miller hails from Parma, Ohio, where he started focusing on macro nature photography about a decade ago while being a caregiver to his father. Now working in the artsy Asheville, North Carolina, he still uses a fairly rudimentary camera and takes a bold approach to his subjects, mostly flowers. 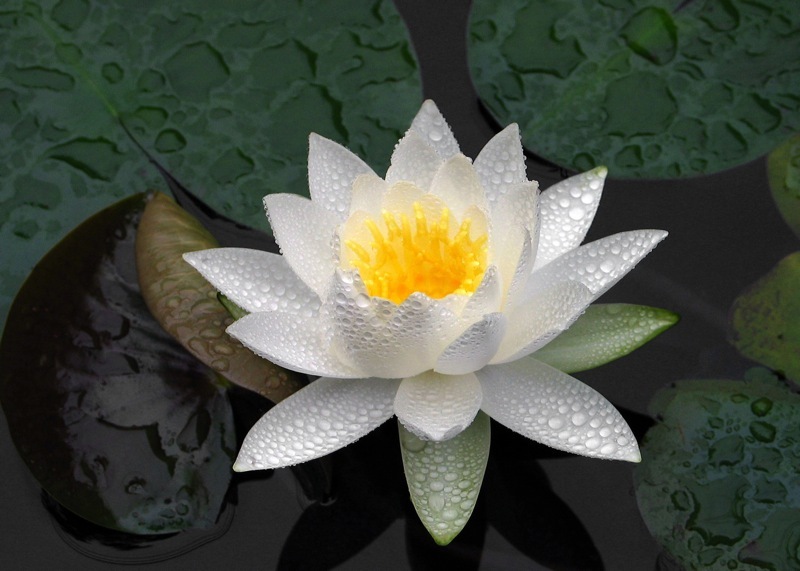 His collections include thousands of nature portraits, about which fellow artist Cynthia Cusick has written, “He pours you into the middle of the flower’s petals or the connection between blooms. His framing immerses us in the richness and luminescence of color, cropping out any distractions.” Landscape photographer John Snell says, “Nate has a great eye for nature’s graphics and simplicity.” But Nate stakes no claim to the title of artist. “I’m rather an interpreter,” he says, “seeking to reveal that which transpires behind that which appears.” He is currently booking guest appearances at open houses in both homes and businesses from North Carolina to Ohio to show and sell his prints during November. See more of Nate’s work and purchase prints on his web site; follow his work on Facebook; purchase his art on various household items, including laptop skins, phone cases, organic t-shirts and more on his CafePress site; read Cynthia Cusick’s blog about him and check out mine as well. 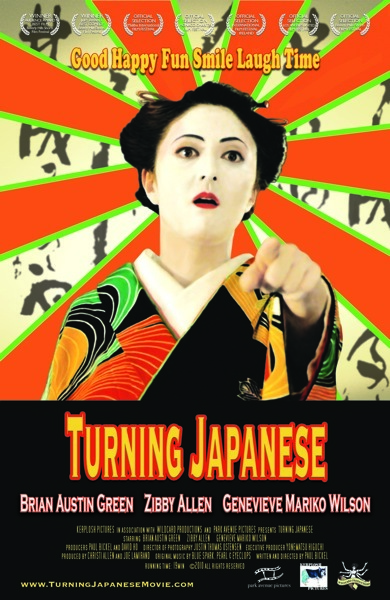 Film director, writer and producer Joe Lamirand won accolades during the past year when the short film “Turning Japanese” swept through numerous world-class film festivals winning countless awards, including best short at the prestigious American Pavilion Emerging Filmmaker Showcase at Cannes. “It was truly a life changing experience and an opportunity to work with some very talented people,” he says, “including our star Brian Austin Green.” The feature length version of “Turning Japanese” is currently in development with Robin Gurland, notable casting director for Star Wars Episodes I and II. Joe’s earlier films include the off-beat feature-length comedy “Talent,” and the short “Hollow.” In addition to being a producer, Joe co-wrote three original songs for “Turning Japanese,” two of which he produced with vocalist and collaborator Mia Joseph. After the film’s success, the two teamed up to form an alternative rock band, Blue Spark, which has been making waves in Indianapolis during 2011. The band is going into the studio in early November to record their first CD. Helping to grow the band’s cult following, Joe directed a whimsical music video featuring Blue Spark performing one of their most popular originals from their demo, “Punk Cowboy.” Watch “Punk Cowboy” on YouTube; listen to other Blue Spark songs on ReverbNation; follow Blue Spark and Turning Japanese on Facebook. Growing up just north of New York City and spending much of her young adult life immersing herself in what she calls “the energy and grittiness of the City,” Cindi moved to an old farm house in rural Eastern Kentucky in the late ‘90s. This shift to a more natural environment, she says, “added a dimension to my self-expression. 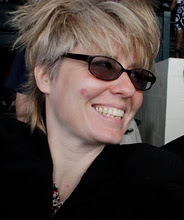 I rediscovered my sense of awe and fulfilled childhood dreams long thought abandoned.” One of these dreams was to be an artist, so in her 40s she finally took time off from her graphic design business and got a BFA from Eastern Kentucky University with concentrations in ceramics and metalsmithing. Much of her work references organic objects as metaphors for life experiences, focusing on women’s issues, sexuality, nature and intimacy. Shown above: Porcelain Juice Cup with Slit and Red Eruptions. A continuation of other “eruption” works, this whimsical piece sits on small, unobtrusive feet placed inside the bottom edge and is brushed with pink and mauve underglazes. Read more about this item on Esty; follow Cynthia Cusick, Teahorse Studio on Facebook; see more of Cindi’s work on her web site; read Cindi’s marvelous blog about her process and check out my blog interview with her. 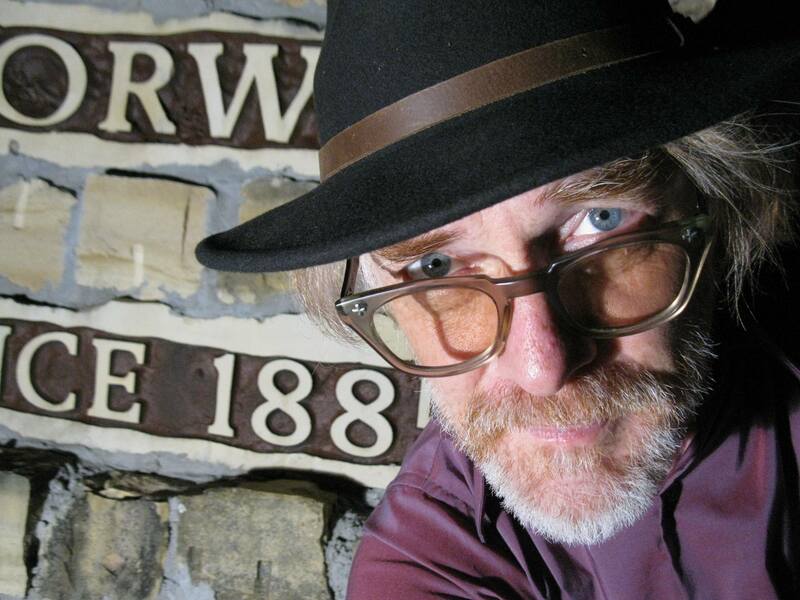 Artist, writer and musician Paul Ramey lost his best friend Salvador earlier this year. Salvador was Paul’s dog. 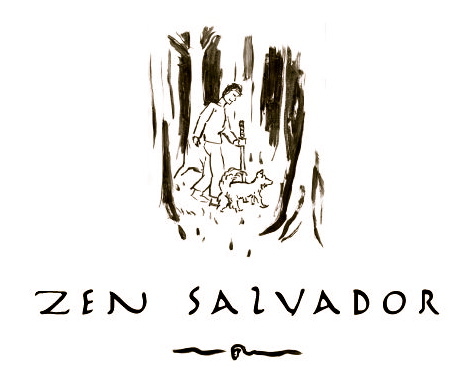 Within two months, Paul had published “Zen Salvador,” a tribute to “Sal” in the form of a bound series of minimalist ink-brush illustrations depicting man and dog, along with original observations about life’s path. All proceeds from the sale of this book are earmarked for the Jacksonville Humane Society. “Salvador and I had an amazing 16-year journey, and he taught me many things along the way,” Paul says. “After his death, I wanted to do something that honored that journey, and would send some positive energy forward. 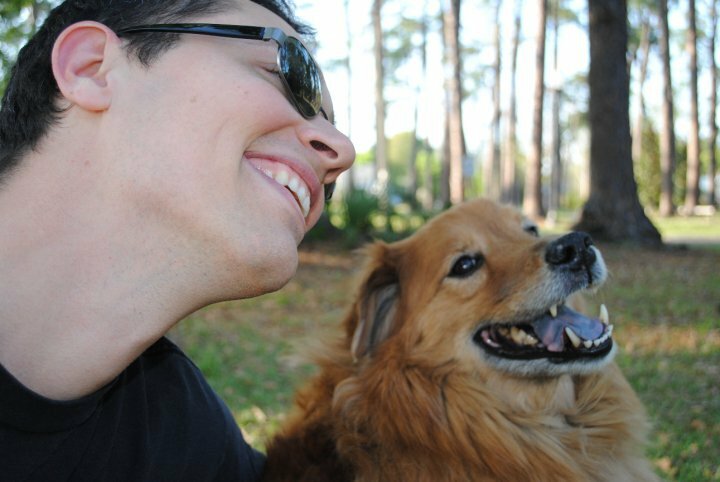 Helping other animals in Sal’s memory was a natural direction.” Paul hopes that people will consider this 24-page publication as a collectible piece of art more than simply a book. Each page is intended as a meditation, allowing the reader to stop, absorb the thought, and have a quiet moment to contemplate. The book ends with the touching story of how Paul and Salvador first met each other back in 1995. Visit the “Zen Salvador” web site; follow “Zen Salvador” on Facebook; learn more about Paul; and check out the 2-CD goth/rock opera Veil & Subdue that Paul composed and recorded. 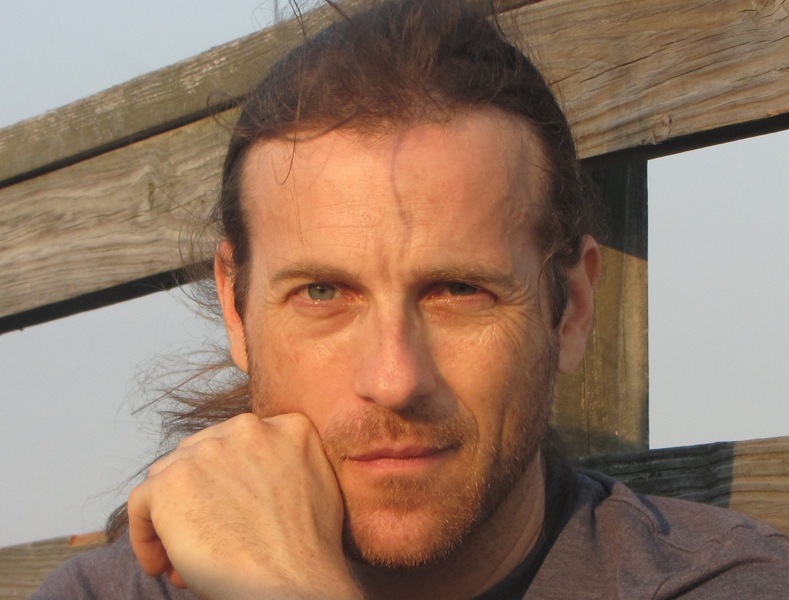 Patrick McNeese is a Kentucky-based visual artist, singer-songwriter and documentary filmmaker. 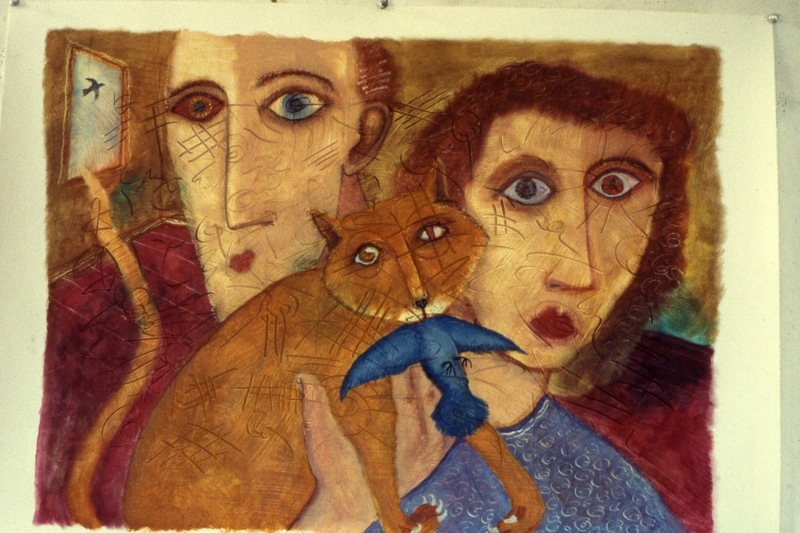 Perhaps best known for his highly expressionist artwork, Patrick has been creating distinctive oil and mixed media paintings for nearly three decades in his downtown Lexington studio. His paintings are included in numerous public and private collections throughout the U.S. Patrick writes and performs his original songs on piano and guitar. “My recent work has been described as ‘Appalachian Jazz’ because it embodies the energy and freedom of certain jazz ideas (i.e. syncopation and improvisation), as it also borrows from the rich traditions of music-making and song craft from the Appalachian region,” he says. 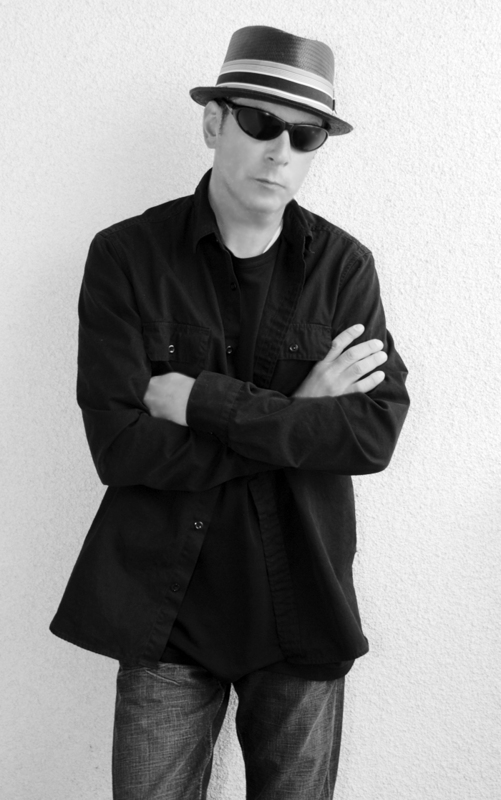 Patrick has written, performed and produced three independent albums: “The Singing Bridge” 1989; “Me, Mywolf and I” 1993; and “Any Day Now” 2005, and has also composed original music for several film and video projects. 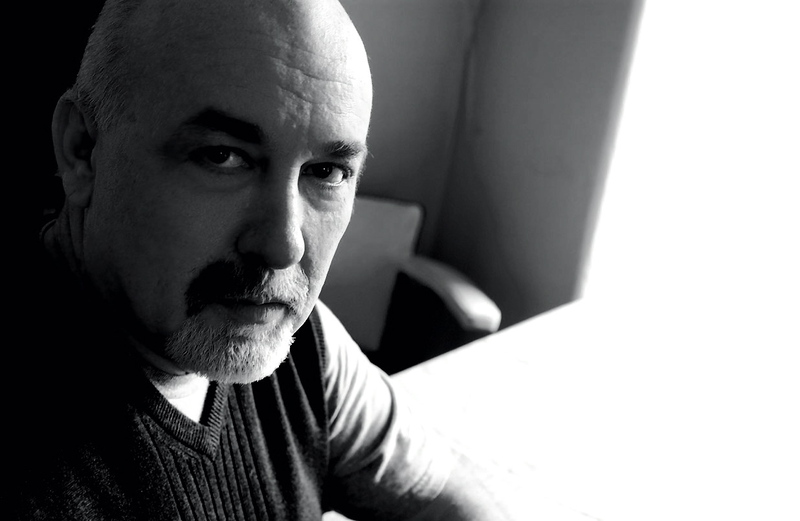 Patrick wrote, produced and directed five independent documentaries, most dealing with the lives and work of both historical and contemporary artists and musicians. In 2006, he received a Director’s Citation at the Black Maria Film Festival for his film about a Vietnam veteran who is also a gifted artist. See more of Patrick’s art, check out his music on iTunes, CDBaby and ReverbNation, follow Patrick on Facebook and read my blog interview with him. Like many artists, Hans Peter (HP) Jorgensen has worn many professional hats to support himself throughout his career, and has returned to a more concentrated focus on art in his retirement. Earning a BFA from Michigan State in 1965, HP soon discovered that making a living as a sculptor in the Midwest was problematic. So instead he earned his living through design and construction of architectural elements, historic restoration and, more recently, non-profit program design. “I’ve always thought of myself as an artist, whatever I was designing,” he says. Over the years, HP has produced thousands of objects—sculptures, furniture, clothing accessories, photographs, books, architectural restorations and programs for various non-profits. Since retirement he has focused on producing sculptures featuring the human figure with an emphasis on faces. He works in clay and casts in either plaster or bronze. 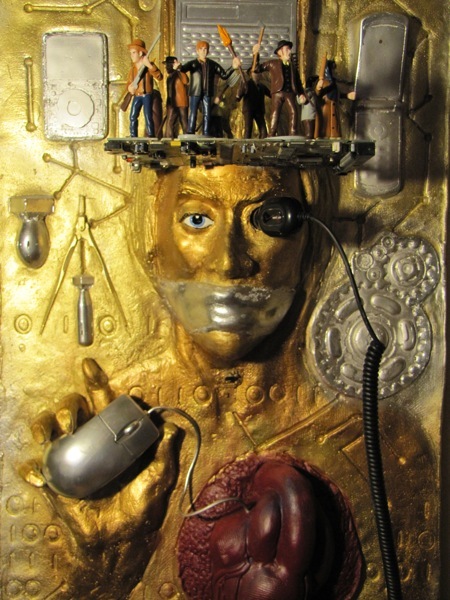 Shown here: Homo Technologicus II (detail) is painted plaster, 18″ x 32″, 2011, the second in a series exploring the interface between humans and the technology that is an increasing part of our society. This piece is one in a series currently on display through the end of October at Perfect Edge Gallery in Decorah, Iowa. 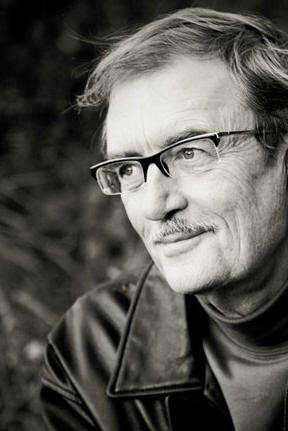 Click here to follow Hans Peter Jorgensen, Sculptor, on Facebook. The evolution of her art from drawing to painting, to printing (etchings and silk screens) and finally to digital painting has been part of Kathleen Farago May’s life adventure. “Each medium has allowed me to more clearly express the spiritual impulses that have driven my creative work,” she says. She perceives her creative process to be a collaboration, to which she contributes her experience, technical skill and aesthetics in order to express the ideas and feelings she is inspired to bring to life. 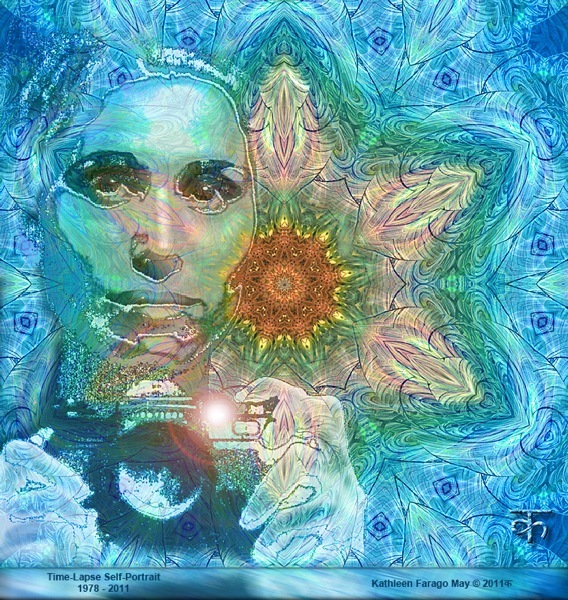 While her early paintings often expressed a rejection of traditional religious forms, today’s images are about “embracing the sense of the numinous that we feel when we acknowledge Oneness.” Kathleen’s themes reflect the fact that she adheres to no single spiritual tradition, but rather remains open to guidance from her higher self. The imagery is symbolic – a sphere, a face, wings, water, the sun – alluding to elements of philosophical and spiritual significance. When the images are not figurative, there is simply a feeling in the abstracted color-scapes and mandalas – a sense of awe, wonder and transported gratitude. Shown here: Time Lapse Self Portrait 1978-2011. You can view Kathleen’s collections on Facebook by clicking these four links: Emergence, Affinity, Spring, Wall. Best known for touring with and producing M. Ward, Mike Coykendall (“Kirkendall”) fits his own songwriting and recording in between recording projects with artists like Blitzen Trapper, Richmond Fontaine, She & Him and Pancake Breakfast. Mike’s folk-rock sound features his trademark wise, raspy vocals set to country-infused psychedelia. In the early ‘90s, he and musical partner Jill Coykendall formed San Francisco’s Old Joe Clarks, an alternative country ensemble whose highly acclaimed CD “Town of Ten” shot to number 16 on the Americana charts. Rubbing elbows with musicians such as GIllian Welch, Bright Eyes, Jim James, and Victoria Williams, Mike has appeared on Austin City Limits, Late Night with David Letterman, Conan O’ Brien and Craig Ferguson. He performs around Portland regularly with The Golden Shag, has recorded two solo CDs – “Hello Hello Hello” (2005) and “The Unbearable Being of Likeness” (2009) – and is seeking the right label for his new double-CD release. Taking bookings across the U.S., Mike says, “I just want to perform as much as I can and tour as much as is possible.” Learn more on Mike’s web site; listen to his music on iTunes; watch him perform “Lost as You Are” and the cover “I Can See Clearly Now,” and read my blog interview with him. 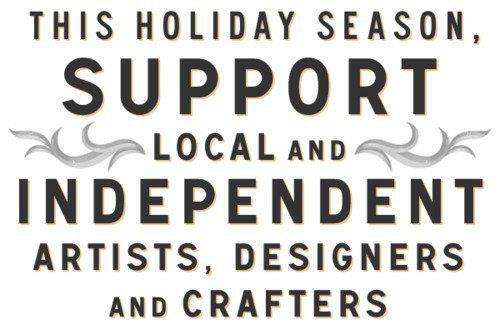 Please, before you buy your holiday gifts, consider purchasing art from one of these eight or countless other artists who have their work available online or in your local community, wherever you may be. Thank you for taking time to read these profiles! Get in touch with me via e-mail if you would like to provide feedback or have your projects featured in Coming UpArt. Frances, this is such a lovely thing you are doing. Artists rarely get the recognition they deserve and all of the artists above deserve it. You are also an artist and an amazing one at that. Your writing inspires me to no end. I have you and your mother in my most positive thoughts.